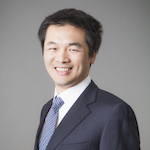 Wei Wu graduated from Peking University with a BS in Physics in 1996, and received a Ph.D. in Electrical Engineering from Princeton University in 2003. He joined the Ming Hsieh Department of Electrical Engineering at the University of Southern California as an associate Professor January, 2012. Before joining USC, he had worked at HP labs since 2003, and he was a senior scientist at nano-electronics research group (formerly known as quantum science research). His work includes the first nanoimprint-fabricated optical negative index meta-material at 1.55 micron range, the first optical modulation using negative index meta-material at near-IR, the first third harmonic generation using meta-material, crossbar memory (i.e. memristor) and logic circuits with the record high densities, highly sensitive surface enhanced Raman sensors fabricated using 3-D nanoimprint, the first room-temperature working single electron memory and the first large area bit-patterned magnetic media fabricated using nanoimprint. The nanoimprint machine he invented has been commercialized via IP licensing. He coauthored 71 peer reviewed journal papers and more than 60 conference presentations, including 13 keynote and invited presentations. He has 58 granted US patents and 57 pending applications. 2000 Physics Dept., Peking University, P.R. China “Scholarship of excellent study"